The production is a tightly woven and satisfying narrative about a girl’s struggle against her own insecurities and the bully behaviours she encounters. Clara falls asleep in a dormitory and wakes up in a fantasy world with her beloved nutcracker. Together, they fight the vicious Mouse Queen and travel through an enchanting Land of Snow to the Palace of the Rag Doll Queen, where flowers, dolls, and toys come to life. Clara transforms from a lonely child into a courageous, kind and forgiving young woman. It is the celebration of a young girl’s empowerment and coming of age. 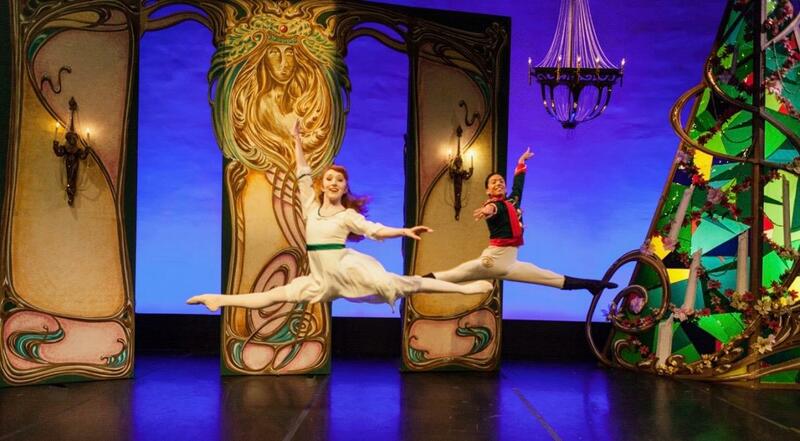 The Art Nouveau-inspired production is a magical mixture of dance, music and life-sized puppetry. technique, acting abilities and classical partnering experience. This role is performed in soft slippers. candidate must have strong ballet technique, physical theatre abilities and classical partnering experience. For information about compensation, performance and rehearsal schedules and other details please contact the Production Manager, Gay Hauser at 902-452-3461. Please bring a hard copy of your headshot and resumé to the audition. Deadline for submissions is Sept. 3, 2018. All applicants are welcome to their send resumé, headshot & video links to Gay Hauser at: osler@eastlink.ca.